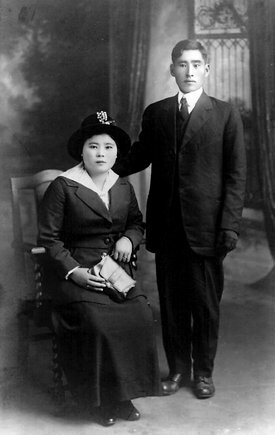 My great-grandparents, Gunta and Sueno Matsunaga, pose for a Western-style wedding photo upon Sueno’s arrival as a picture bride to San Francisco in 1919. My Nisei grandfather was born in 1920, the first of four sons. Upon the sudden passing of Gunta in 1935, Sueno transported his cremated remains to the Matsunaga family in Arisa‐machi, Yatsushiro‐gun (present‐day Hikawa), while arranging for their boys to be raised in her maiden Motoshima household. In 1937, my sixteen year old grandfather, Yukio, and his next youngest brother, Hiroshi, dual citizens of the U.S. & Japan and approaching draft age for the Imperial Japanese Army, set sail back to California aboard the Taiyo Maru to avoid conscription and complete high school in Selma, CA, due south of their native Del Rey. Sad to see her boys go and not wanting to separate the family, Sueno followed shortly after with the youngest brothers, Shigeto and Hideo, and remarried an Issei hotel proprietor from Tome‐gun, Miyagi prefecture by the name of Motoe Satoo. Together they lived at, and managed, a residential hotel at 615 E. 4th Street, near Central Avenue, in Los Angeles’ Little Tokyo district. 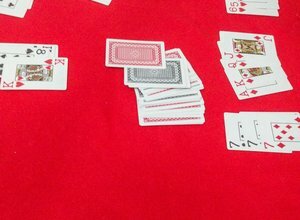 From Mr. Satoo, Sueno would learn the hotel trade. As a result of Executive Order 9066, in 1942 the family was forcibly removed to Pomona Assembly Center, and later incarcerated at Heart Mountain War Relocation Center outside of Cody, Wyoming. Prior to this, however, my grandfather had returned to Del Rey from Los Angeles and so avoided the initial wave of evacuation. The original exclusion zone in the Fresno area was known to be roughly everything west of Highway 99. Because Del Rey was east of 99, my grandfather figured by returning he would avoid evacuation. He accepted an invitation to reside with the Hiraoka household, my grandmother’s family and longstanding friends of the Matsunagas, but was later subjected to a secondary exclusion zone which expanded even further inland, this time encompassing Del Rey. As such he was evacuated, along with the Hiraoka family, to Gila River War Relocation Center in Rivers, AZ, where he and my grandmother eventually married. Meanwhile, in effort once again to keep the family together, Sueno successfully applied for a transfer from Heart Mountain to Gila River. By 1945, they had all resettled in Chicago. While my grandfather stayed put in Chicago with my grandmother and their growing family, by the late 1940s Sueno had returned to Los Angeles with her husband and three sons. They lived at 312 Ord Street in Chinatown and later moved to the Japanese neighborhood of Uptown at 1138 S. Ardmore, near present‐day Koreatown. 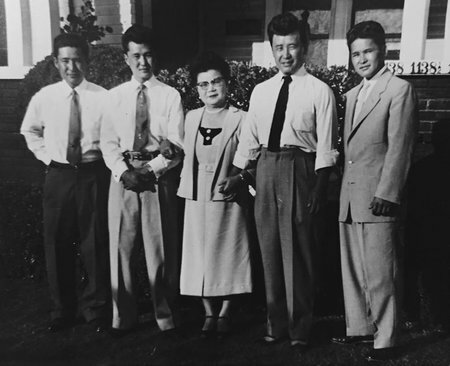 A circa 1950s photo of my great-grandmother, Sueno Matsunaga, with her sons in front of her residence at 1138 S. Ardmore in Los Angeles’ Uptown neighborhood, near present-day Koreatown. L-R: Hiroshi, Hideo, Sueno, Yukio (my grandfather), Shigeto. Motoe Satoo thereafter decided to return to Japan and so Sueno once again found herself on her own, only this time with grown children and a viable trade as a hotelier. From Kumamoto to Del Rey to Kumamoto to Los Angeles to incarceration at Pomona Assembly Center, Heart Mountain, and Gila River War Relocation Centers to Chicago to Los Angeles. Two husbands, four sons, farmer, hotelier. She adored her boys, who, despite the struggle, she raised well into becoming responsible and respectable men who raised their own families and have been able to experience great‐grandchildren of their own. 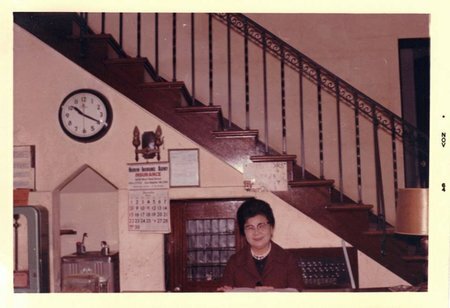 A 68-year old Sueno Matsunaga at the counter of Hotel Adson, a residential hotel she managed in Los Angeles’ Jefferson Park neighborhood, in November of 1964. Located at 2611 S. Bronson on the corner of Adams Boulevard, many years earlier this locale played a role in the unsolved Black Dahlia case as the residence of suspect Joe Scalis. I am reminded of something a friend once told me on a trip to Japan. As an American of Japanese heritage in twenty‐first century Japan one can look around at all the history abutting modernity and feel a certain pride for the culture you come from, all the while knowing that you had nothing to do with it. Learning of the obstacles all my ancestors had to overcome to allow me to be sitting here today gives me an equal sense of pride, though I hadn’t a fraction of their struggles. If anything, it offers me a nudge to measure up.